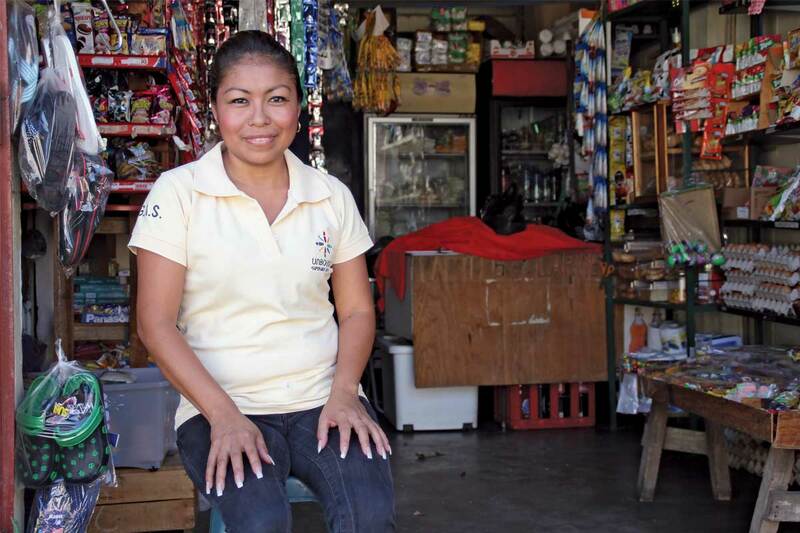 Rosa displays the small store she runs out of her home in El Salvador. 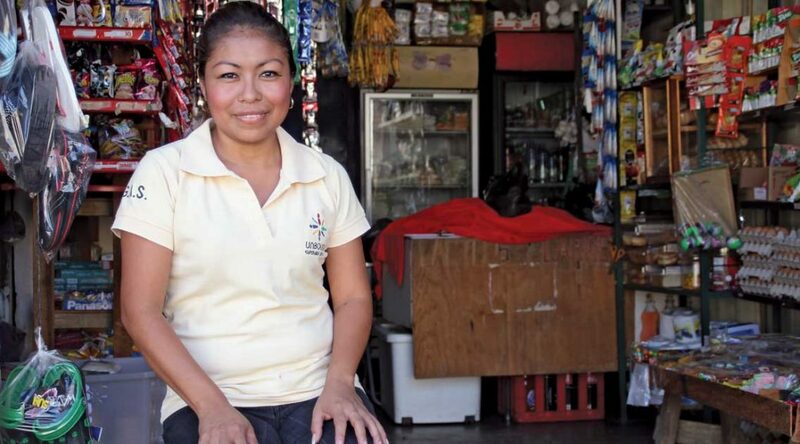 Like many mothers of sponsored children, Rosa was able to finance her business with a loan from her local Unbound mothers group. In 2017, Unbound concluded an extensive evaluation aimed at gaining a deeper understanding of empowerment as experienced by mothers in the Unbound program A key finding from the survey was that more women in the Unbound program have their own businesses and fewer are unemployed than mothers on the waiting list. Half of Unbound mothers surveyed reported having complete choice in deciding or changing their occupations, compared with just more than 40 percent of mothers on the waiting list. “That is something our program specifically tries to accomplish, helping women start their own livelihoods, gain that sort of economic control,” Becky Findley, international evaluations manager for Unbound, said. The evaluation also found that mothers in the Unbound program were generally happier than those in the wait-list group, and that they reported being more involved in making decisions within their households and communities. About 40 percent of Unbound mothers said they had complete choice in making important decisions that could change the course of their lives, while 30 percent of wait-list mothers said they had total freedom in that area. “We see mothers as being gatekeepers to change,” Findley said. “When you empower a mother you are empowering a family. By empowering the mother you are providing better care for the child. One indicator of such change was more than 60 percent of Unbound mothers reported membership in a community group, organization, network or association versus 40 percent of wait-list mothers. This speaks to the value of Unbound’s support groups for mothers. Forced to leave their hometown in Kenya because of post-election violence, Joseph (left) and Phyllis moved their family to Nairobi in 2007. When their two children became sponsored through Unbound, Phyllis was able to join the local mothers group and take out small loans to start a new livelihood. 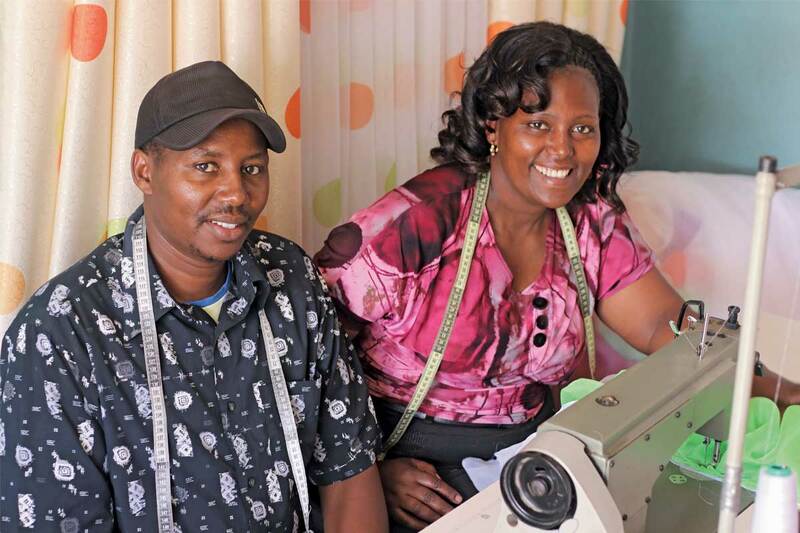 Today, she and Joseph work together making and selling curtains and mosquito nets. One of the benefits of the mothers groups is the ability of members to take loans for personal livelihood initiatives. Members regularly contribute small amounts from their own children’s sponsorship benefits, which are then made available for members of the group to borrow. They agree to pay back the loans by a certain date and are held accountable by the other mothers in the community. The system has been so successful that, in some countries, the groups have expanded it to create cooperatives that provide economic stimulus not only for individual families, but also their communities. One finding from the survey showed that a small number of mothers were involving all family members, including their children, in making household, health and education-related decisions. That small number included more Unbound mothers than mothers on the waiting list.